The British government must "move beyond a sticking plaster approach" to the collapse in power-sharing in Northern Ireland, MPs have warned. 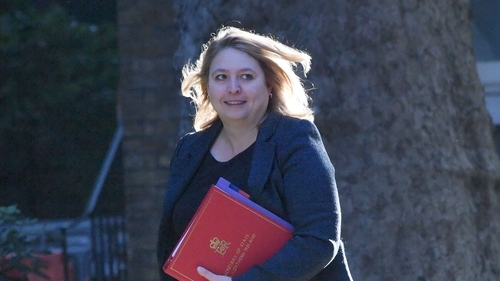 Moves by Northern Secretary Karen Bradley to dock the pay of Stormont politicians while the long-running impasse continues were welcomed by the Commons Northern Ireland Committee. However the committee cautioned against using civil servants in the absence of a functioning legislature at Stormont, saying they should not "continue to be expected to make determinations that in a functioning democracy fall to ministers". Last week Ms Bradley announced a plan to cut Assembly members' pay and bring forward legislation giving greater clarity around civil servants' powers to make decisions in the absence of a functioning executive. Power-sharing collapsed early last year in a row over the DUP's handling of a botched green energy scheme and a dispute over identity issues like the Irish language has seen repeated rounds of negotiations fail. The Northern Ireland Affairs Committee released Government responses to a report on devolution it published in May, which had urged Ms Bradley to increase the tempo of ministerial decision making. Committee chairman Andrew Murrison said the British government had "started to think about plugging the democratic deficit" by acting on MLA pay and moves to restore the Policing Board. Despite this he added: "We are glad that the Secretary of State has acknowledged that more clarity is needed on the powers of civil servants to take decisions in the light of recent legal challenge. "However, whilst we keenly await further detail on this, we are clear that civil servants should not continue to be expected to make determinations that in a functioning democracy fall to Ministers. "There is no evidence in the government response to our report, nor in the Secretary of State's comments last week, to suggest that talks to restore devolution are imminent. "We must move beyond a sticking plaster approach and do more to facilitate sustainable governance in the region with proper accountability and scrutiny mechanisms." Earlier this week DUP leader Arlene Foster warned the government not to "subcontract" its role in restoring power sharing after calls were made for independent mediation in the dispute. Meanwhile, Sinn Féin vice-president Michelle O'Neill met Tánaiste Simon Coveney in Dublin and said it was disgraceful an Executive was not in place. She added: "The reason we have not had it is because of the British Government and their toxic relationship with the DUP."